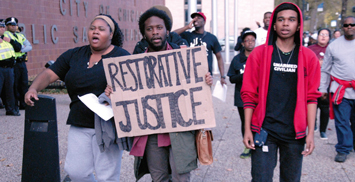 The condition of Blacks in America has not changed much in 40 years points out the 2016 State of Black America (SOBA) report released by the National Urban League (NUL). The similarities are disheartening, said Marc Morial, president of the non-profit organization that advocates Black economic advancement, parity, political power and civil rights. “We’re trying to highlight this 40 year lens … We’re also trying to highlight the fact that these disparities that exist are still significant and required the nation’s attention,” Mr. Morial told reporters during a May 12 teleconference. 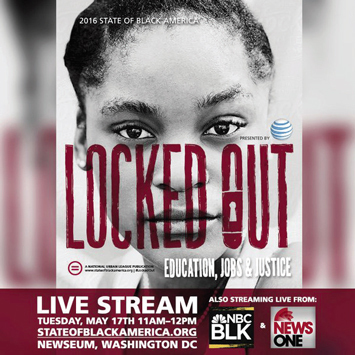 This year, the National Urban League released its 40th edition of the seminal report May 17 during its Legislative Policy Conference, and from the Newseum in Washington, D.C.
“Locked Out: Education, Jobs and Justice,” includes a retrospective of Black life in America since Vernon Jordan, Jr., then executive director, published the first State of Black America report in 1976. While clusters of improvements can be noted across the board for Blacks and Whites, unfortunately the findings tell a clear story that significant disparities remain and have not been resolved by any gains, particularly in income and employment. Schools in 1976 had been legally desegregated for 22 years. The Civil Rights Act of 1964 was 12 years old. The Voting Rights Act of 1965 had been in place 11 years, and the economy was one year into economic recovery from the recession that lasted from November 1973 to March 1975, the document reports. Blacks were nearly twice as likely as Whites to be unemployed; the median Black household had only 59 cents for every dollar of income in the median White household; and Blacks were three times more likely to live in poverty than Whites. While racial disparities continued to persist more than a decade after several pieces of landmark equal rights legislation passed, there has been some progress, SOBA researchers found. “Between 1963 and 1976, Blacks experienced tremendous gains in school enrollment and educational attainment. In 1963, only one-quarter of Black adults had completed high school. By 1976, that number had grown to 43.8 percent,” SOBA said. There were more than twice as many Black 18-24 year olds enrolled in college in 1976 than in 1963; the standard of living for Black Americans had also risen over that 13-year period; and despite the fact that the Black poverty rate was three times more than for Whites in 1963 and 1976, the rates for both groups had fallen significantly over that time (down 21.6 and 6.2 percentage points for Blacks and Whites, respectively). In addition by 1976, the Black-White income gap had closed six percentage points (from 53 percent in 1963), and the homeownership gap had closed 10 percentage points (from 55 percent in 1963 to 65 percent in 1976). “Very importantly, of the 40 year comparison, what jumped out at me was the idea that the Black homeownership rate in 2016 is the same as it was in 1976,” stated Mr. Morial. “If I could wave a magic wand and write the headline of what I’m about to say to you … the headline would read simply ‘The state of economics in Black America is still bad, but with positive signs of improvement,’ ” said George Fraser, CEO of FraserNet Inc., which works to increase entrepreneurship, wealth and creating jobs for Blacks. Its mission is to make Black people the number one employers of Black people. Black poverty worsened, certainly compared to anything within the last 50 years, he said. “It is so bad, because Black homeownership has not recovered from the 250,000 homes we lost going to 2008 economic crises. And we know that home-ownership is the cornerstone for the inter-generation of transfer of wealth,” Mr. Fraser told The Final Call. He said conditions are also still bad, because Blacks’ inter-generation transfer of wealth to children has not improved due to poor insurance protective practices, and Blacks still are not recycling their dollars. There is too much frivolous spending, he said. Mr. Fraser cited consciousness shifting from jobs to equity and ownership as signs of improvement. The Black mantra is shifting from that of their forefathers and ancestors, get a good education and get a good job, to get a good education and create a job, he said. The State of Black America 2016 also emphasizes the National Urban League’s “Mainstream Marshall Plan: From Poverty to Prosperity,” which envisions a trillion dollar, 5-year initiative to invest in distressed communities. In part it would help curb poverty levels for both Black and White America, which it indicates also have not budged, given a point or two, since 1976. The top three recommendations center on universal early childhood education, increasing the federal living wage to $15 per hour indexed to inflation and developing a plan to fund comprehensive urban infrastructure. “We’re talking. We’re highlighting the challenges, and then, we’re proposing some solutions,” Mr. Morial said. The plan also recommends developing a new Main Street small- and micro-business financing plan focusing on minority-and-women-owned businesses; expanding homeownership strategies; expanding the Earned Income Tax Credit; and targeted re-entry workforce training programs administered through community-based organizations. One recommendation law-makers could accomplish right away is to expand the youth employment program, Mr. Morial insisted. “I believe that the Black community has been resilient, strong, withstood the ravages of the recession, however, that the work ahead to confront the deep and difficult economic problems are not going to be easy,” Mr. Morial stated. He acknowledged the first Black president has been constrained by the legislative branch. Some 300 Urban Leaguers delivered its report to members of Congress, and to members of President Obama’s administration. “We want people to see what the numbers say, but we also want them to focus on some of the solutions,” Mr. Morial said. “Closing the racial economic gap has not been a priority for anybody,” said Dr. Julianne Malveaux, economist, author, and former president of Bennett College for Women. She said while people have been interested in seeing, they have not been interested in closing that gap. “In order to do that, that requires us to target the disadvantaged, which would be unemployed African-Americans, and this president, despite all of his good intentions, has simply not done that,” Dr. Malveaux told The Final Call. She said just letting the rising tide lift all the loads might render people better off collectively, but not from a community perspective. “That’s the bottom line, no one has seen the material condition of African-American people be a priority matter in terms of their platforms, and that has been true of every president … call the roll of Jimmy Carter, of Ronald Reagan, of Bill Clinton, of Bush 1 of Bush 2,” Dr. Malveaux continued. When the above have simply said ‘let’s improve the macro-economic situation,’ the improvement was fine but failed to close gaps, she explained. As she reiterates in her new book, “Are We Better Off: Race, Obama and Public Policy,” Dr. Malveaux said Blacks just don’t ask for what they need. “You will not get fed in your mother’s house if you do not bring your plate to the table. And we do not bring our plate to the table. We assumed that in this Obama presidency, he knew what we needed,” she stated. The problem is Blacks did not ask him, nor did they push him on their needs, so he did what he did, according to Dr. Malveaux. She said Blacks tried to play nice and tried to make sure no one criticized him. “I’m not blaming him at all, but I’m just saying a squeaky wheel will get the grease … Latinos are criticizing him. The LBGT criticizes him … but we’re the only ones who want to hold our power back, and by holding our power back, what we’re saying is we’re unwilling to engage this president in what he needs to do for our community,” said. Dr. Malveaux. More recommendations for solutions SOBA offered were to double the Pell Grant program to make college more affordable, expand financial literacy and homebuyer education and counseling; expand the low-income housing voucher “Section 8” program and establish Green Empowerment Zones in neighborhoods with high unemployment. In addition, making affordable high-speed broadband and technology available to all, and increased federal funding to local school districts to help eliminate resource equity gaps are proposed. “We have to challenge these candidates on what their agenda is, and we have to change the conversation from asking them what their agenda is to a conversation that says can you support our agenda,” said Marc Morial. In the 1960s and 1970s, poverty rates declined, then pushed forward after that, according to the SOBA report. Mr. Morial said that stemmed from former Pres. Lyndon Johnson’s lost war on poverty, as well as former Pres. Ronald Reagan’s dramatic cuts in domestic programs, in safety net programs, the early 1980s recession in the Northeast and Midwest and late 80s recession in the Sun Belt due to the decline of oil. In addition, minimum wage increases have been sporadic and have not kept the pace with inflation over the last 40 years and have been dramatic in the last 10 years, he explained. “Poverty in America should not be understood as ‘unemployment in America.’ A lot of poverty in America is working people who earn money but they don’t earn sufficient money to pay their bills,” Mr. Morial said. SOBA’s effort includes this year’s Equality Index, which gives a snapshot of inequalities people face in their hometowns. Researchers looked at employment and income equality for Blacks and Whites, Hispanics and Whites in 70 metropolitan areas. The Black-White Index indicates Black America stands at 72.2 percent of where Whites stand in various socio-economic categories compared to a revised 2015 index of 72.0 percent. The report indicates an increase in the education index stemmed from improvements in college attainment and enrollment. The increase in the economics index came primarily through progress in closing the digital divide as well as lower denial rates for Blacks seeking mortgage and home improvement loans. The unemployment and homeownership gaps remained unchanged from the previous year, and improvements in the social justice index resulted from a decline in the Black incarceration rate, while the incarceration rate for Whites following an arrest grew by more than the rate for Blacks. Dedrick Asante-Muhammad, director of the Racial Wealth Divide Initiative CFED (Corporation for Enterprise Development)—Expanding Economic Opportunity, identified raising the minimum wage to $15 and homeownership as some paths out of poverty and some of the disparities highlighted by SOBA. 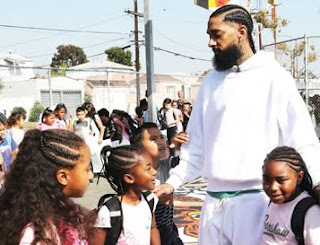 He noted that the 1967 Freedom Budget advocated by strong civil rights advocates like Dr. Martin Luther King, Jr., Kwame Ture (formerly Stokely Carmichael), the NAACP and Urban League aimed to really advance Black freedom. “Obviously, those things weren’t implemented and that I think is a root of much of the challenges we face today, but part of that was to raise the minimum wage and the number that they had would have been about $14 in today’s dollars,” he said. “It’s interesting that they were calling for a minimum wage all the way back to 1967, which we haven’t hit. So I do think the $15 minimum wage is an important step forward particularly when you look at currently $7.25 is the federal minimum wage. 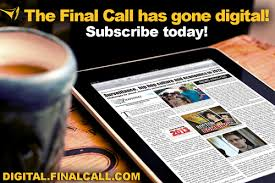 So clearly that is an important step,” Mr. Asante-Muhammad told The Final Call. Homeownership is essential, he said, because while Blacks are clearly never going to get to 100 percent home ownership rate of Whites, it is at least the number one asset and source of wealth for all Americans. Blacks need what has been offered to make Whites majority homeowners, Mr. Asante-Muhammad recommended. That has been massive investment into home ownership, government programs—oftentimes the GI Bill—that allowed people with very little income to put up a down payment and have affordable mortgage payments. 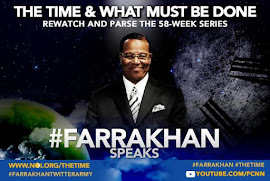 In his unprecedented 52-week series, “The Time and What Must Be Done,” and again during his keynote address at the historic 20th Anniversary of the Million Man March—Justice or Else! 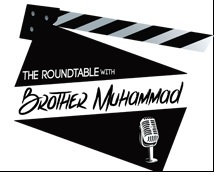 gathering, Nation of Islam Minister Louis Farrakhan did as advised by the Honorable Elijah Muhammad. 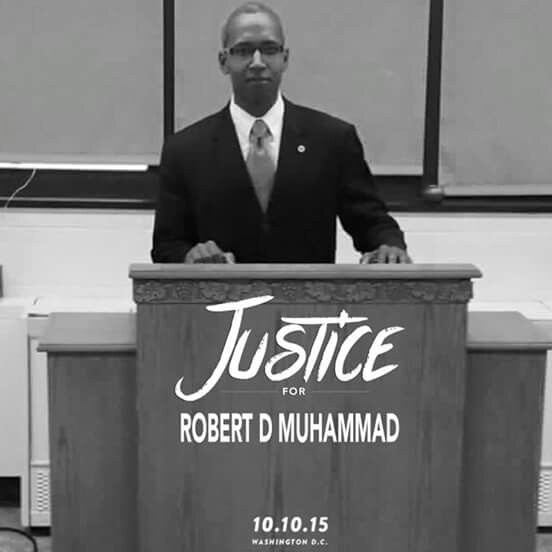 He took the Nation of Islam patriarch’s Muslim Program to the steps of the Congress of the United States. 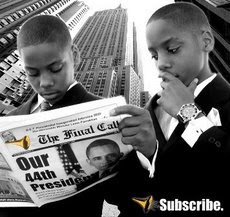 The solution for Blacks in America lies in guidance laid out by Mr. Muhammad, teaches Min. Farrakhan, his National Representative. “Your program—the one I have given you which is carried in the first part of this chapter—should be put before Congress. The Civil Rights Bill and integration will not stand and can never bring independence to you and your people, no matter who is President. The wisest and surest way to success is to unite behind me. I assure you that, with the help of Allah, you will accomplish your goals—money, good homes, and friendships in all walks of life,” said Min. 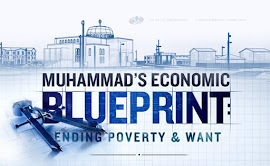 Farrakhan, quoting from Mr. Muhammad’s seminal book, Message To The Blackman in America in the chapter titled “Program and Position.” “Ultimately we are going to be such a troublesome species of property that the Congress itself is going to have to rule on something like this,” the Minister continued. In its over 85 year history in America, the Nation of Islam has taught that Black people must unite, pool their resources, purchase land and stop “begging” from the government or others what they can and must do for themselves. “Politics without economics is symbol without substance,” Min. 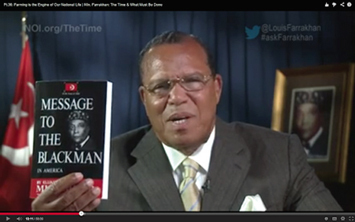 Farrakhan has repeatedly pointed out.